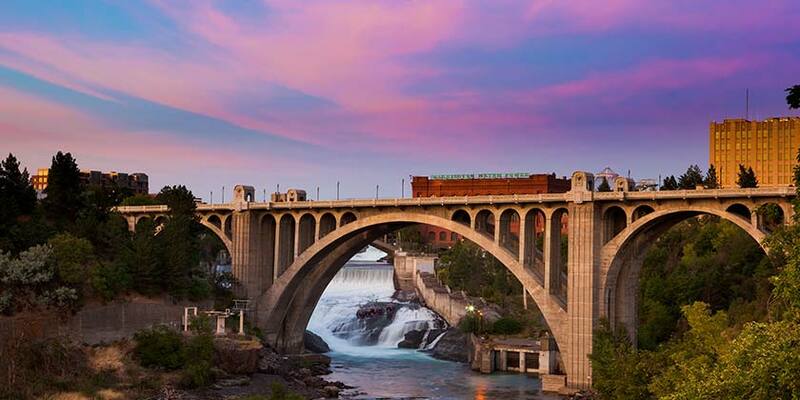 Spokane, Washington vacations are perfectly tailored for the outdoor enthusiast. With a city built around the Spokane River and a gorgeous 100-acre park in the heart of downtown, visitors are never far from the great outdoors. And nearby, you’ll find 76 lakes, 33 golf courses, 11 wineries, five ski resorts, five national parks, the Columbia River Gorge, and the Grand Coulee Dam. There is truly nowhere better for active vacations in any season than Spokane, Washington.